The last decade or so has been a relatively lean time for true longshots scoring upset victories in the Kentucky Derby. Since 2006, only three winners have been sent away at odds of 10-1 or higher: Mine That Bird (50-1), Animal Kingdom (20-1), and I'll Have Another (15-1). Post-time favorites have won the Derby an unprecedented five years straight. While that won't continue forever, there's no guarantee an outsider will be the one to halt that streak rather than a horse that's, say, second or third choice in the wagering at a single-digit price. Even if not a logical threat to win, longshots have routinely invaded the other placings during this trend of winning favorites, boosting payoffs in the Exacta, Trifecta, and Superfecta. Who's the longshot (10-1 or over) to be on the lookout for this year? 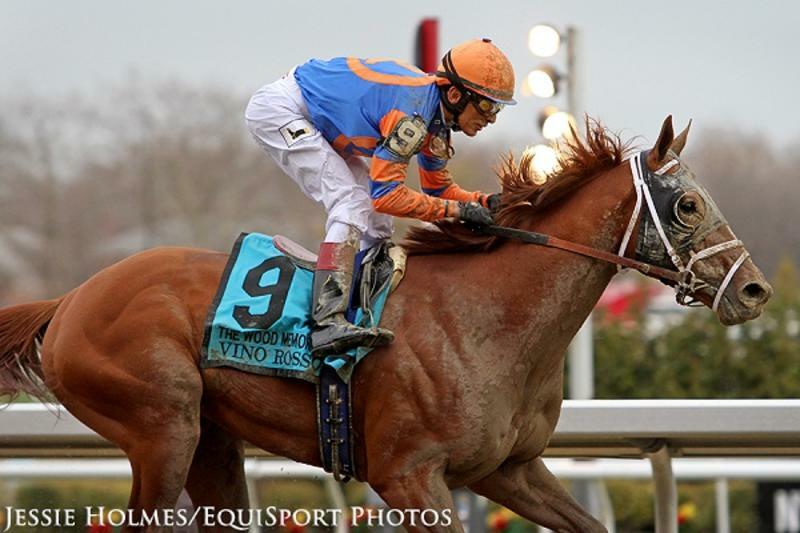 VINO ROSSO (#18) offers appeal on several fronts. A son of Curlin, Vino Rosso is trained by Todd Pletcher and will be ridden by John Velazquez, the connections behind 2017 Derby-winning favorite Always Dreaming. In fact, given the choice of several mounts among Pletcher's quartet of contenders, Velazquez chose to stick with Vino Rosso over Audible and Noble Indy, whom he rode to victory in the Florida Derby and Louisiana Derby, respectively. Always highly regarded by Pletcher, Vino Rosso enters the Derby off a strong, three-length win in the Wood Memorial. It was a welcome turnaround in form following an underwhelming performance in the Tampa Bay Derby. Expected to show improvement when adding blinkers for that race, Vino Rosso was a non-contending fourth in a race where horses on or near the lead dominated. Chalking up the defeat to a possible dislike of the deep Tampa surface and turning the page, Pletcher sent Vino Rosso back to New York for the Wood, and the colt responded to the return to Aqueduct with an authoritative win, helped in part by a strong pace ahead of him. A bit of a grinding type, Vino Rosso is sure to get a mile and a quarter rather comfortably. His sire, Curlin, ran third in the Derby before winning the Preakness and finishing second in the Belmont, and has already sired classic winners Palace Malice and Exaggerator. Unlike his sire, as well as some of the others in the field (namely favorite Justify and stablemate Magnum Moon), Vino Rosso has a two-year-old foundation having won both starts as a juvenile. Listed at 12-1 on the morning line, Vino Rosso appears a must-use in all Derby wagering plans.